One question I get asked a lot, is how I became a nurse. 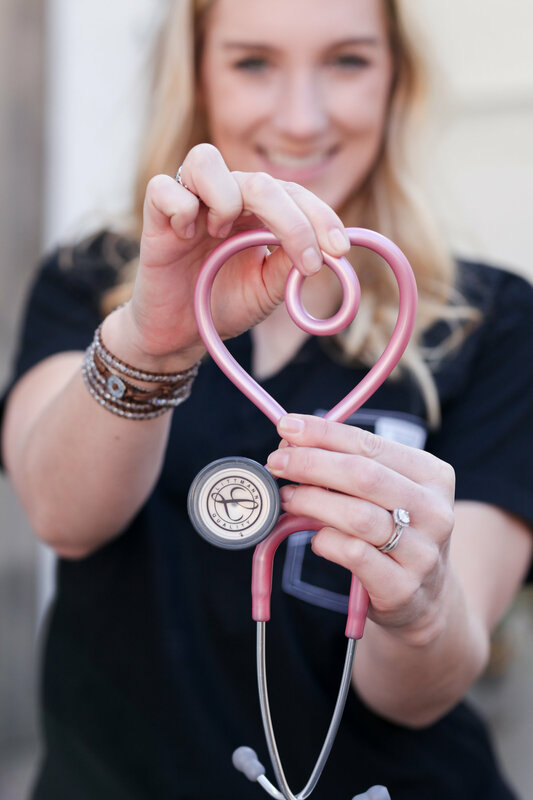 My story is a little more backward than most people’s, so I thought I would share a little insight into my nursing journey because it is a good one and ultimately start a “series” of sorts so that those nurses that follow me can find these posts easily. I do, however, think everyone will enjoy this one…. It all started in 6th grade. In 6th grade my teacher had us write a letter to our 18 year old selves of what we hoped for our lives. In my letter I wrote about wanting to find a man with brown hair that treated me well, go to California Lutheran University (one of my older sister’s went there at the time and I used to visit her), and become a singer (I’m a horrible singer FYI), but if I couldn’t become a singer, I would like to become a nurse…. Fast forward to 18 year old Melissa. I was a Sophomore at California Lutheran University. At this point, I hadn’t read my letter because my mom lost it haha, so I was just going through the motions of life. I was currently an accounting major (CLU didn’t have nursing) and was trying to figure out my next steps. I knew I needed to get my ducks in order because I had three very successful older sisters and I wasn’t going to be the daughter that couldn’t pull it together. Plus, having three sisters, entrepreneurial parents, and three brother-in-laws that were all wildly successful, I was given the wonderful advice to start getting my ducks in order early, so that I had a lot of options after graduation. At the beginning of my Sophomore year, my plan was to become a CPA. I was really good in my accounting classes and with two sisters that were CPAs, I knew I could be successful, except…I hit a glitch. My advisor for my Sophomore year accidentally forgot to put me in a class I needed to stay on track with accounting, so I found out at the end of the year that if I decided to continue with accounting I would end up graduating a semester behind (you know, prerequisites for prerequisites kind of thing). So, that’s when I rallied the troops. We all sat down to dinner and discussed my future. Some may think this intimidating, but my family is extremely close and I really value their opinions, so it was important for me to get their advice. Plus, they all know me better than anyone else, so I needed to figure out my options. We all sat down to Mom’s lasagna (one of my favorite meals) and talked about my likes and dislikes of my classes, my personality, etc. It was during this dinner that my sister Andrea (Onge), spoke some serious truth. For her, she regretted making the safe choice of becoming a CPA and truthfully wasn’t happy with her job. She told me how she honestly didn’t think I would be either. You see, Onge had a friend who had just completed an accelerated Bachelor’s in Nursing. It was a rapid program, but her friend was now a NICU nurse and loved it. 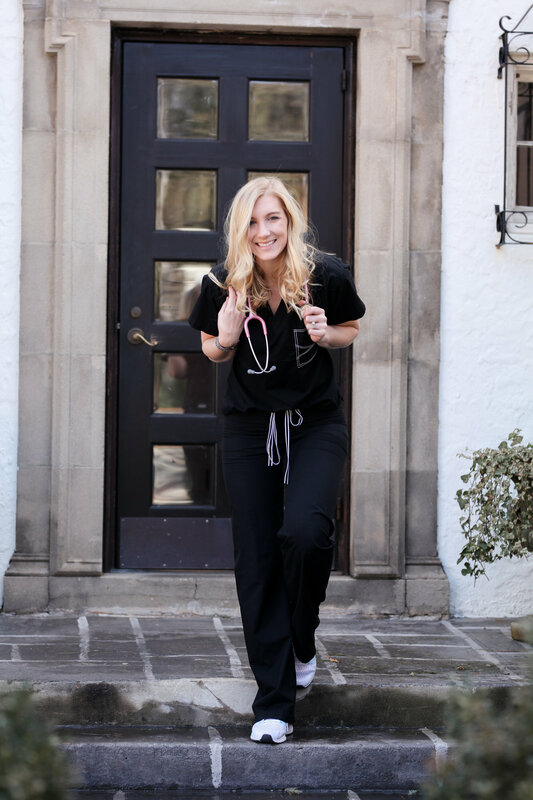 She asked me if I would consider nursing…that’s when everyone sort of went silent…and truthfully all agreed at what an awesome nurse I would be. We considered my options. I could continue with accounting and graduate late, switch majors to something within business to graduate on time, consider teaching (another suitable option for me), or switch schools. Well, CLU was private, so switching this late in the game didn’t seem to make sense since it would cost a lot of money and I really loved CLU. I figured I would dabble in things related to teaching and nursing, but I definitely didn’t want to graduate late. So, ultimately, it was determined I should switch my major to Business Administration with an emphasis in Management (my only option besides Marketing, to graduate on time), and then figure out if nursing or teaching may be my passions. I learned that summer that teaching was absolutely not my jam. 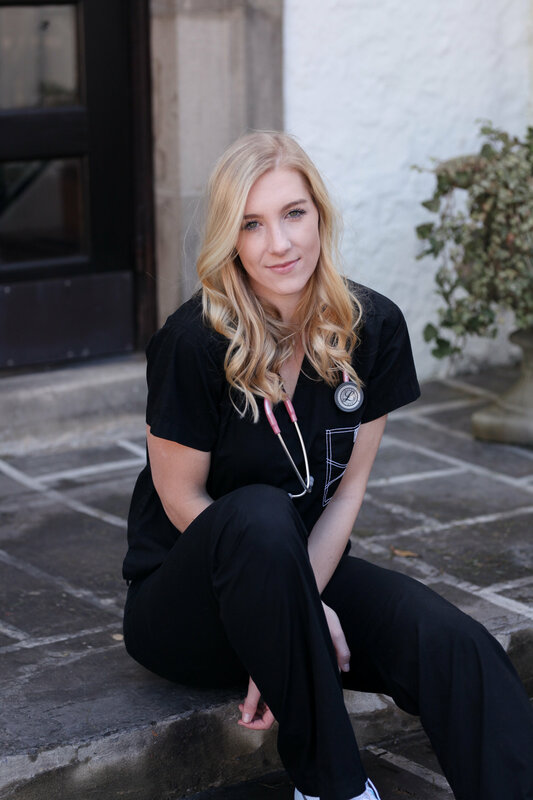 The following year I began to search accelerated BSN programs in CA and applied to become a volunteer at a nearby hospital in their ICUs, while also continuing my efforts to provide business opportunities (I was told not to put all my eggs in one basket – another sound piece of advice for any college student). 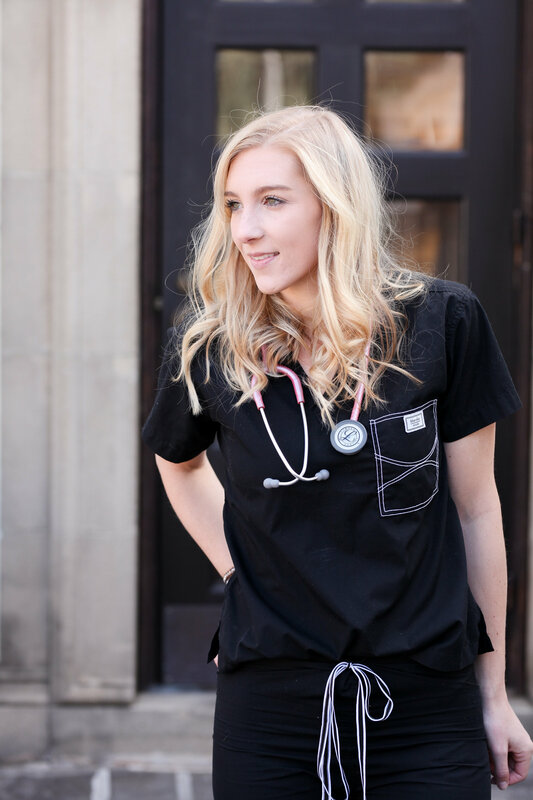 I then attended multiple information sessions and learned very quickly that nursing may be something I was interested in (although my volunteer experience was horrible because the doctors were SO MEAN to me haha). Now, senior year. I found an accelerated program I thought would be a good fit, an even better volunteer program than the one I had been in that was highly competitive and more of an internship than it was a volunteer program at another local hospital, and I learned of something called a CNA (or clinical nurse assistant). 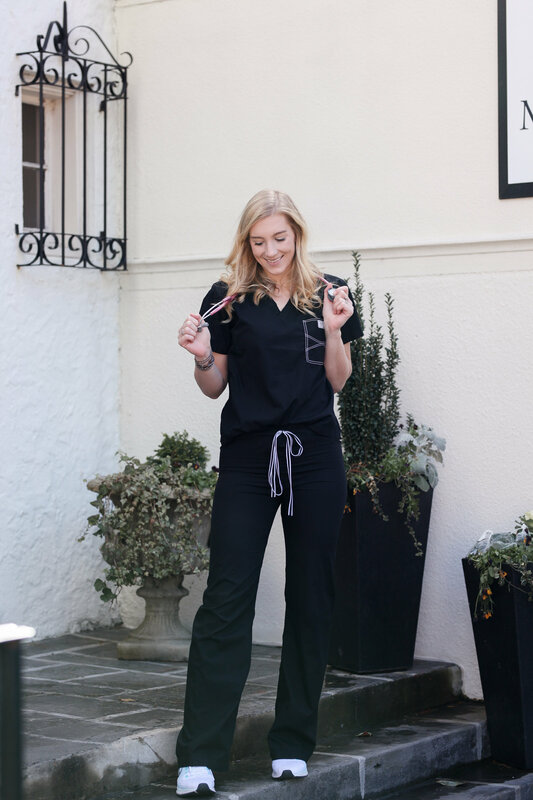 I continued my internship (I got to rotate through various units in the hospital and see tons of procedures, surgeries, deliveries…it was amazing), but wanted to pursue this whole CNA thing. My thought was, that if I really wanted to do this nursing thing, I should try and do the bare basics first. If I liked that, then I would probably like nursing. Now, remember that letter I told you about? Well my mom finally found it. On my twenty first birthday. And in it, I found my first sign. Luckily, my schedule my last semester in school allowed room for me to take this the CNA course, so I was able to continue everything, and take the course at the same time (think CNA program, normal school, work, and collegiate track…). Now, graduation. I still had my sights set on Mount Saint Mary’s in Los Angeles as my accelerated program, so I knew I was going to need to take at least a year of prerequisites I couldn’t get with my business degree. I also had three possible job options following graduation with my bachelor’s in business. It was go-time. So, how did I make my decision? To be honest, it wasn’t easy. I ended up being very successful in my business program and had a lot of opportunities, but I had also really enjoyed becoming a CNA. So, I did what any faith-filled person would do, I put it on God and asked for a second sign. Through my internship I heard of a CNA position on a telemetry unit. This was a rarity. Most CNAs in my area worked in assisted living facilities before ever getting the opportunity to work in a hospital, but I felt like it wouldn’t be worth it to not work in a hospital, given I had other opportunities that paid significantly more. So, I prayed. I asked God to provide me with a sign. I determined that if God was calling me to nursing, I would get that job. If that wasn’t my path, I wouldn’t get it and would take one of my other opportunities. Well, God answered my prayers, and gave me my second sign. I got the job. It worked out great because I only had to work three days a week allowing plenty of time to take my prerequisites and continue my internship. I did this for a year before applying to nursing schools and ended up getting into every one I applied to. If that isn’t a calling, I don’t know what is. Now, there is a third sign, but I think that story deserves it’s own blog post. It is one thing to talk about my journey, but applying and choosing a nursing school (as any college) is a completely different story. You will just have to wait to find out what it is….